Title sponsor of the ISSA Boys and Girls Championship, GraceKennedy has revealed that it consulted its lawyers about what, if any, action could be taken against athletes from Calabar High School, who are alleged to have assaulted a teacher at the Red Hills Road-based institution. 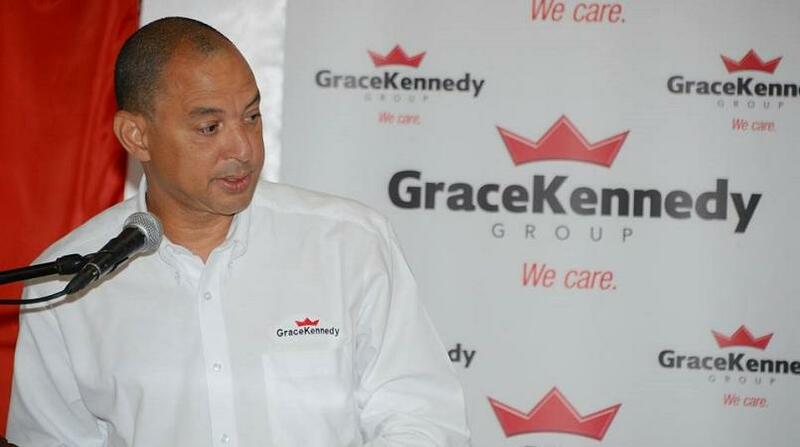 “We have taken the matter so seriously that we have consulted with our attorneys who have advised that GraceKennedy does not have the power to decide which athletes participate in Champs and cannot determine what action the school or ISSA takes with regard to the alleged incident,” said Don Wehby, the CEO of GraceKennedy, in a statement to the media Monday afternoon. “Further, having met with ISSA this morning, we have now been made to understand that ISSA is also not in a position to make such a determination. The decision rests squarely with the Board of Calabar High School,” the statement added. GraceKennedy also shared a letter Wehby sent to ISSA president Walton Small on Friday, in which the CEO wrote that he was “very shocked” over the allegations. Wehby said he expects that ISSA will conduct an immediate investigation into the matter and that the findings will be shared with the company. Apart from Small, the GraceKennedy team also met with ISSA Vice President, Keith Wellington and Chairman of the Organising Committee, Colleen Montague on Monday morning. 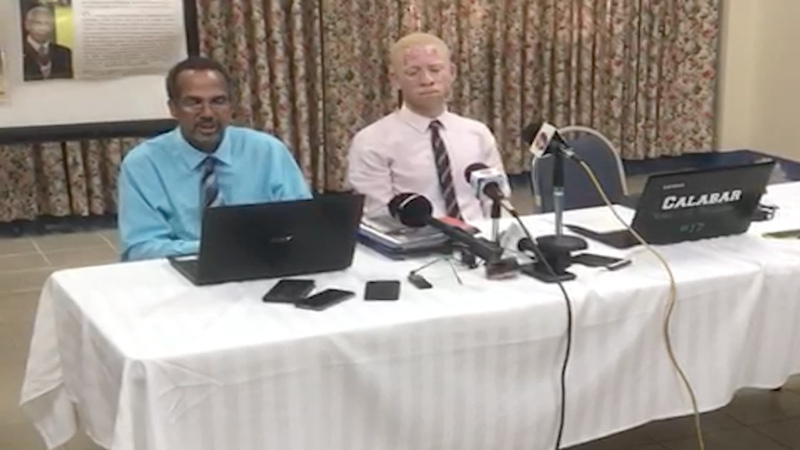 Head of the school’s physics department, Sanjaye Shaw, told the media he was assaulted by Calabar track stars, Christopher Taylor and De'Jour Russell. Taylor allegedly draped him while Russel reportedly knocked his phone from his hand and stomped on it. The students have denied at least parts of the allegations and the school has said video evidence promised by Shaw has not been forthcoming. The school has said it "strongly reprimanded" them for entering the physics lab and suspended Taylor and Russell for five days. 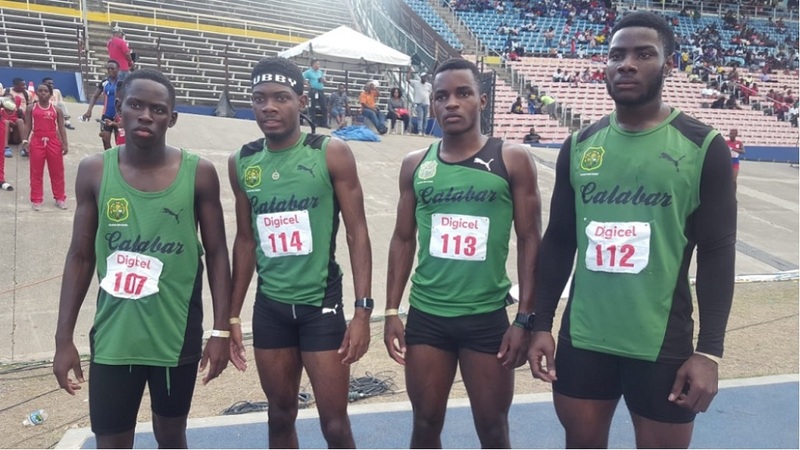 The five-day Boys and Girls Championships kicks off on Tuesday and Calabar are the seven-time defending champions. The athletes at the centre of the controversy are expected to contribute significantly towards the school retaining the Mortimer Geddes Trophy.